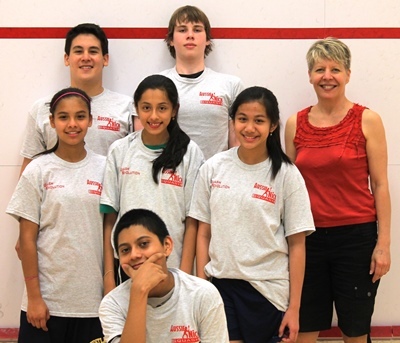 The cost to install the requisite two or three squash courts is estimated to be approximately $150,000 per location. Operating costs to provide the squash and academic/mentoring programm depends upon the size of the program. SquashEmpower benefits significantly from community support and philanthropists of all types. In addition to cash support, our graphic design, legal work, and squash equipment for the youth are all perfect examples of the in-kind donations our organization has received from concerned individuals, groups and corporate sponsors (many employers will even match your donation). Donations can also be made through checks made payable to SquashEmpower and sent to the mailing address below. Thank you in advance for your support and your commitment to empowering youth! Subscribe to our newsletter & be in touch.